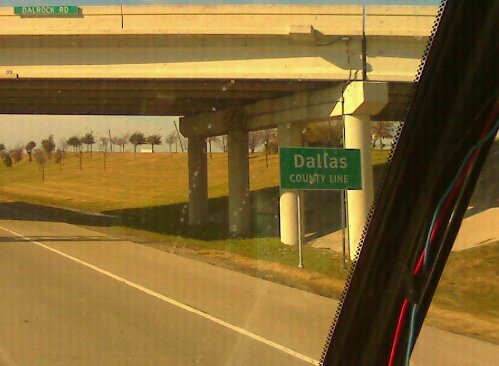 The band trucks approached Dallas, Texas, around noon Monday, Dec. 27. 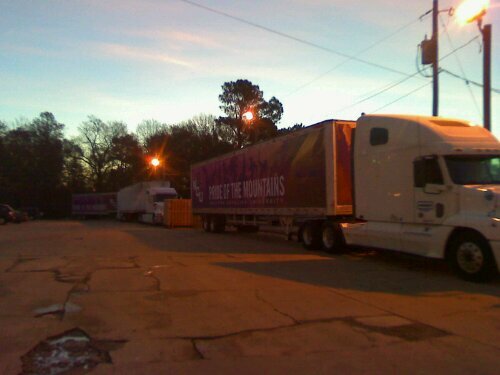 The sun come up over the trucks on the eastern side of Texas on Monday, Dec. 27. 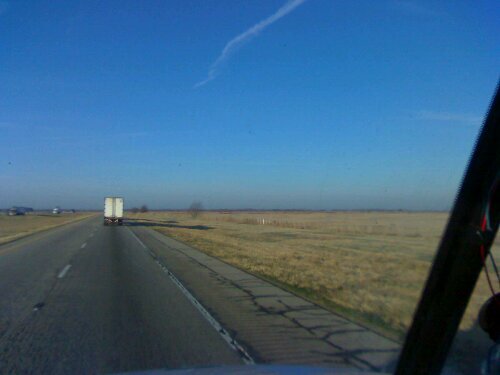 "Don't think we're in Haywood County anymore," said Jimmy Crocker of the straight highway and big blue sky in Texas. 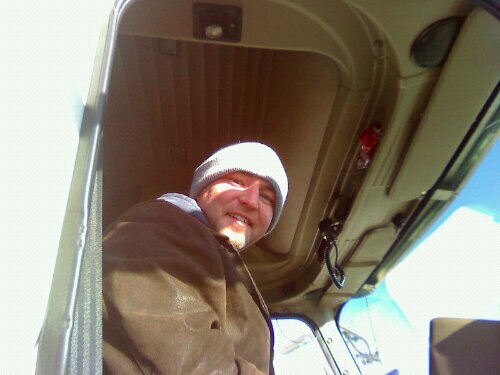 Martin Clark is one of the seven truck drivers volunteering their time to transport band equipment across the country for the Rose Parade. 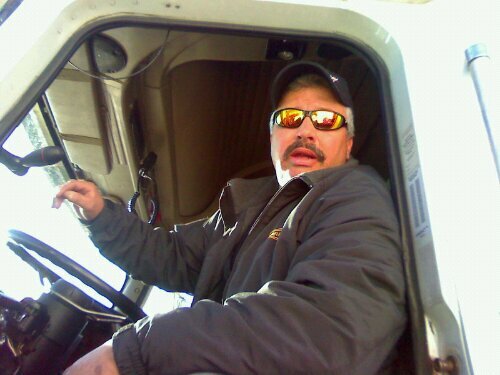 Jeremy Parker is another one of the band's seven truck drivers volunteering their time to drive equipment to California. 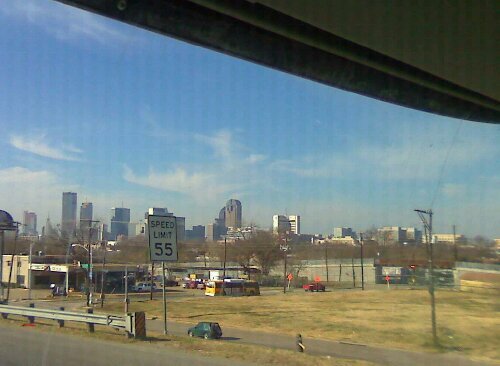 The trucks pass downtown Dallas. 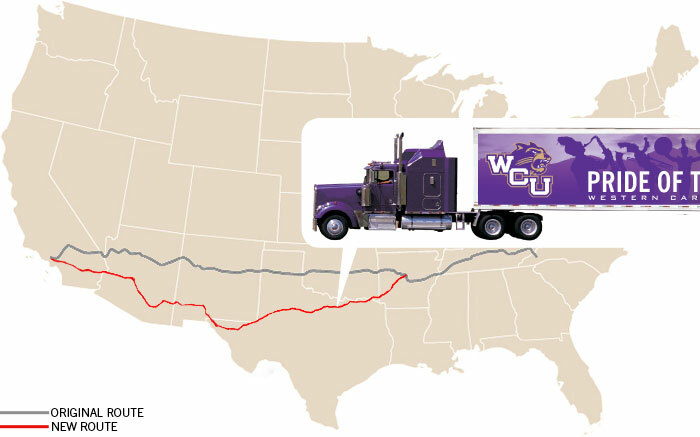 The band trucks started making their way across Texas on Monday, Dec. 27, and were approaching Dallas around noon. Read more road reports about the trucks carrying band equipment to California for the Tournament of Roses Bandfest and Rose Parade, a move that saves the band $40,000 in checked baggage fees, and the seven drivers volunteering their time to make it possible.